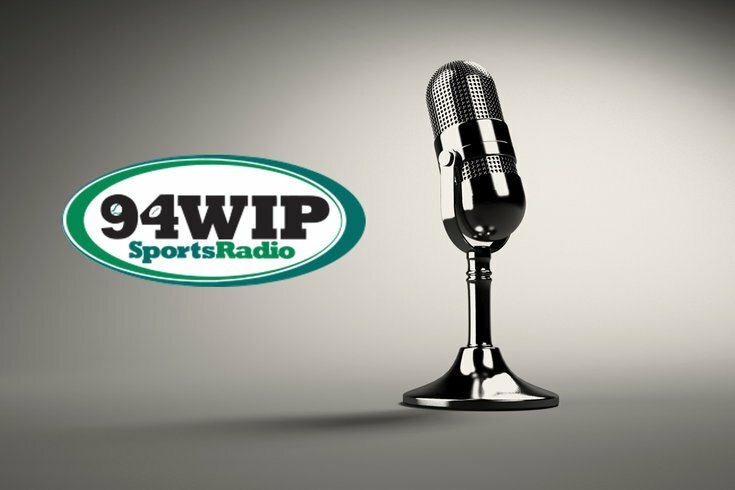 Jon Marks, a veteran of Philadelphia's sports radio and media scene, will take over the coveted afternoon host position on SportsRadio 94WIP. The station announced the news Tuesday, dubbing him the successor to Chris Carlin, who departs the station after a stint that lasted only a year. Ike Reese will continue to co-host the slot, which airs from 2-6 p.m.
“I’m really excited to be part of the station I grew up listening to,” said Marks, who formerly hosted a show at rival sports-talk station 97.5 The Fanatic, a gig that ended in October 2016. Marks then was picked up by WIP in February for the evening drive slot from 6-10 p.m., a show that will now be manned by Joe Giglio, currently a nights and weekends host for the station who also writes sports for NJ.com. The New York Daily News reported Monday that Carlin was being hired as part of a team to replace Mike Francesa at WFAN in New York. Carlin previously had been a host at WFAN and for a time produced Francesa's show. Carlin took over the drive time show at WIP in November 2016, shortly after the Josh Innes experiment fizzled out and the controversial host was terminated.